Funerals are something that Chaplains are well acquainted with. I’ve attended and presided over more than I can count over the past ten years. These can be challenging for Chaplains as more often than not, we know very little about the person we are eulogizing. Many times we may know little more than a person’s religious background and the stories told about them by friends and family. Chaplains are also occasionally called on to perform services for those who never believed, at least as far as we know. I’ve done a few of these services myself, and they can be challenging. Ministers who believe in the final, eternal punishment of the unrepentant sinner can feel torn when asked to perform a funeral for someone whose faith may be unknown, unclear, or even blatantly unbelieving. Typically at the funeral of a believer we comfort those who mourn with the assurance of heaven and salvation. How do we comfort those for whom that assurance is not so sure? Our first, clear responsibility is to grieve with those who grieve. Before we can minister, we need to hear those who are mourning otherwise we will never be heard, whatever we say. If you’re asked to perform a funeral for a patient I’ve found it necessary to not only talk to them prior about the service but to arrive well before the time of the service to talk with family and friends beforehand. Merely being present and available will be a comfort and personal words of support will be well received. You may even hear stories that weave their way into your message. I once rewrote an entire eulogy just before a service based on the conversations I had prior to the service. As much as we want to comfort the family, we should not do so at the expense of truth. Dr. Russell Moore recently spoke on this, saying that if it’s well known that a person led a pretty awful life devoid of any faith, our false words of comfort will not be comforting at all. Rather they will mark the preacher as a liar. He went on to support the condemnation of the minister and the pronouncement of hell and damnation at the expense of the peace of the family. I frankly was appalled at the lack of grace and wisdom applied in this situation. While I believe that the gospel can be proclaimed at such a time, to do so at the expense of not only the dead but the family of the dead harms not only the gospel but the witness of every Christian. I do not know how many have come to faith from such a rebuke, but I would not be surprised if more turned from it instead. Dr. Moore made some very good suggestions regarding how to minister to the grieving without being too harsh or too soft. He stated that while we must be honest we must also be kind. Regardless of the life of the person who died, remember that he or she is still an image bearer and is worthy of dignity. Revealing this image to others is a very meaningful way to at the same time acknowledge the pain in that life as well as transcend it. He also stated that we should not assume the eternal destiny of anyone, lost or saved. We simply do not know the heart of the one who died, and neither do we know how the Spirit has worked in that heart over the years or even in the last moments of life. For all we know, the weekly churchgoer never had Christ in his heart, while the one who never darkened its doorstep was more upright in faith than anyone ever knew. It is right to celebrate the faith of one whose faith was clear, but neither should we assume condemnation for someone whose faith was not. So what do I do when asked to perform a service for someone that isn’t a believer? I remember a service that I did for a Vietnam veteran who, when I had first introduced myself as a chaplain, said “well you can leave that God stuff out there if you’re going to come in here.” So I did. Over several months we talked about his life, the difficulties he’d had, and his current bout with cancer which he blamed on his wartime experience. He talked about his broken relationships, even about the UFO’s he said he saw as a truck driver. As his health declined, he asked if I could do his service for him and I accepted. 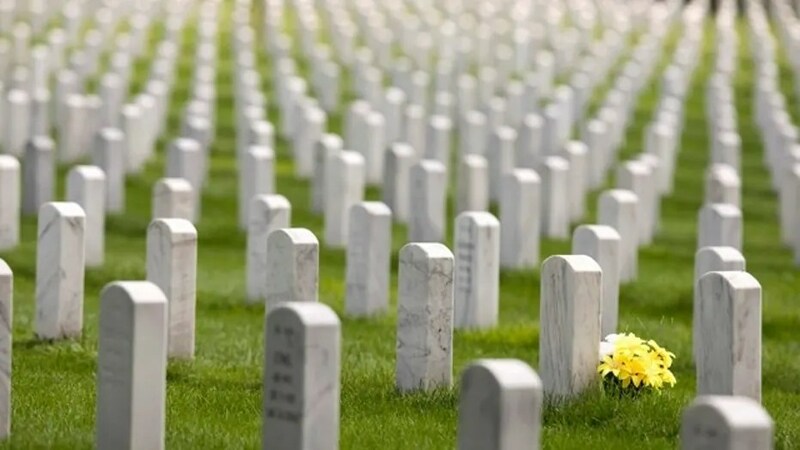 The service was held at The National Cemetery of the Alleghenies in southwest Pennsylvania, a sprawling scene of peace, austerity and gravitas that only military graveyards like Arlington seem to have. In a small pavilion our hospice staff gathered. There were no other family or friends. It was us. I read from scripture, spoke of what this man had given to us who knew him and how we would remember him. I affirmed God’s grace in his life, for even if he did not acknowledge it I could see God at work in him and through him to others. I didn’t speak of hell or heaven, and deep inside I hoped that the Holy Spirit had worked through us to show him God in a way that we didn’t and perhaps couldn’t know in this world. I left knowing that his eternal life was in God’s hands and not my own or anyone else’s. My life is in the same place, as are all of ours, and that gives me peace. Rev. Samuel… thank you for sharing this – it felt frank and genuine and resonated with me deeply, as a spiritual and practising Muslim. I came across your page today as I was researching CEP… and a lot of your personal reflections and tips have really helped me. Look forward to reading more and maybe even speaking to you sometime.